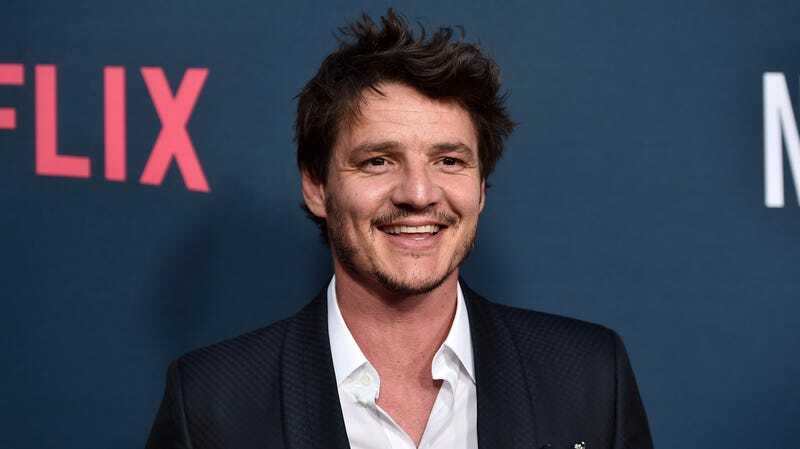 Though we’d be content with Werner Herzog playing every character in Disney’s upcoming The Mandalorian, we’re more than happy to hear that Pedro Pascal is the first official human to join the cast of Jon Favreau’s bounty-hunting drama. Though you may best remember him as a heap of smashed tomato jam on Game Of Thrones, the man once known as the Red Viper has also starred in films like Kingsman: The Golden Circle and series such as Narcos and The Mentalist. He’s also slated to play a “key role” in Wonder Woman 1984. Variety notes that Pascal will “lead” the series, so we’re assuming that means he’s playing the “lone gunfighter” mentioned in the story’s official synopsis. A killer lineup of directors, including Thor: Ragnarok’s Taika Waititi and Star Wars veteran Dave Filoni, will helm the series, which is said to take place after the fall of the Empire and before the emergence of the First Order. Like the recently announced Rogue One prequel series, The Mandalorian will debut next year on Disney’s in-development streaming service, which, as we’ve documented, will contain a galaxy’s worth of content.